Alvin Youngblood Hart's Muscle Theory Friday, 26/10/2018, Dark Season Blues Festival, Svalbard, Norwegian Territory . Click here for more info. Alvin Youngblood Hart's Muscle Theory Saturday, 27/10/2018, Dark Season Blues Festival, Svalbard, Norwegian Territory . Click here for more info. Alvin Youngblood Hart (solo) Thursday, 08/11/2018, Slaughtered Lamb, Clerkenwell, London . Click here for more info. Alvin Youngblood Hart (solo) Friday, 09/11/2018, Goin' Up the Country Roots & Blues Club, Worthenbury Village Hall, Nr Wrexham . Click here for more info. Alvin Youngblood Hart (solo) Saturday, 10/11/2018, Avenue Theatre, Ipswich, Suffolk . Click here for more info. Alvin Youngblood Hart (solo) Sunday, 11/11/2018, Bluefunk Club, Poynton, Cheshire . Click here for more info. Alvin Youngblood Hart (solo) Tuesday, 13/11/2018, Tolbooth, Stirling, Scotland . Click here for more info. Alvin Youngblood Hart (solo) Wednesday, 14/11/2018, Dundee Jazz Festival, Gardyne Theatre, Gardyne Campus, Gardyne Rd, Dundee 0345 450 3099. Click here for more info. 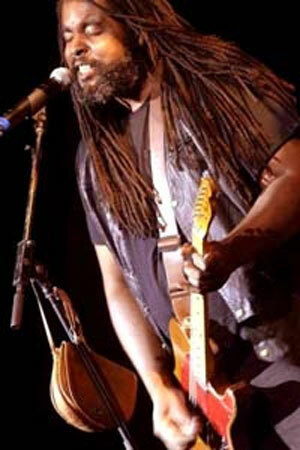 Alvin Youngblood Hart (solo) Saturday, 17/11/2018, Old Town Hall, High St, Hemel Hempstead 01442 228091. Click here for more info. Alvin Youngblood Hart (solo) Sunday, 18/11/2018, Norden Farm Centre for the Arts, Altwood Road, Maidenhead, Berks 01628 788997. Click here for more info. Alvin Youngblood Hart (solo) Tuesday, 20/11/2018, Mrs Yarringtons Music Club, Whatlington Village Hall, Whatlington Rd, Wattlington East Sussex . Click here for more info. Alvin Youngblood Hart (solo) Wednesday, 21/11/2018, Muziekclub N9, Jelle De Clerck, Molenstraat 165, 9900 Eeklo, Belgium . Click here for more info. Alvin Youngblood Hart (solo) Thursday, 22/11/2018, Forest Arts Centre, Old Milton Road, New Milton, Hampshire 01425 619983. Click here for more info. Alvin Youngblood Hart (solo) Friday, 23/11/2018, Southern Pavillion, Worthing Pier, West Sussex 0800 0935337. Click here for more info. Alvin Youngblood Hart (solo) Saturday, 24/11/2018, House Concert, more info to follow, Oxon . Alvin Youngblood Hart (solo) Sunday, 25/11/2018, Civic Theatre, Gosforth, Newcastle-upon-Tyne . Click here for more info. Alvin Youngblood Hart's Muscle Theory Friday, 19/07/2019, SummerTyne Americana Festival, The Sage, Gateshead 0191 4434661. Click here for more info. Alvin Youngblood Hart - Talk Saturday, 20/07/2019, SummerTyne Americana Festival, The Sage, Gateshead 0191 4434661. Click here for more info. Alvin Youngblood Hart - Solo Saturday, 20/07/2019, Festival, more info to follow, Scotland . Alvin Youngblood Hart's Muscle Theory Sunday, 21/07/2019, Festival, more info to follow, Scotland . Alvin Youngblood Hart's Muscle Theory Tuesday, 23/07/2019, Wrotham Arms, Ramsgate Road, Broadstairs, Kent . Click here for more info. Alvin Youngblood Hart's Muscle Theory Thursday, 25/07/2019, Waterloo Music Bar, 166 Waterloo Road, Blackpool . Click here for more info. Alvin Youngblood Hart's Muscle Theory Friday, 26/07/2019, The Live Room, Saltaire, Yorkshire . Click here for more info. Alvin Youngblood Hart's Muscle Theory Saturday, 27/07/2019, The Borderline, Soho, London . Click here for more info. Movinmusic is taking offers for Alvin Youngblood Hart's Muscle Theory (Trio) for the UK and Europe in July and generally throughout 2019 & 2020. Interested venue owners & promoters can contact us about his availability via e-mail or 0044 (0)1209 860067. Copyright 1996 - 2019 Movinmusic - Contact: mike@movinmusic.co.uk 0044 (0)1209860067 PO Box 38, Penryn, Cornwall, UK, TR11 9YD Skype "Movinmusic"